I’ll keep it 100 with you all, the amount of music I get sent to me is crazy. Trust me, I’ll try to listen to most of, if not all of it sent to me. I’m a huge fan of old-school hip hop and there’s alot of talent in the new school cats out there. For the most part, they’re not mainstream artists and have a huge following on the underground tip. Recently, I received this project from Moe Kash and thought it was amazing. Since I’m going to restart my Music Monday, but only when something grabs my attention, this is the perfect project to start it back up. Check out a little more about him below and then check out his album. Born in Haiti, but hailing from Broward County Florida, Moe’s flow flirts with the old school, but showcases a focused, modern sound. The budding rapper definitely treasured the lesson learned from hip-hop icons such as Notorious B.I.G., 2Pac, Rick Ross, Young Jeezy and TI, just to name a few icons that Moe looks up to and respects big time. His debut mixtape, “hustle hard no days off”, showcases Moe’s passion and appeal, blasting the speakers with a tight, edgy sound, shaped by sharp analog drumbeats (808 above all!) , multilayered synth walls, and on top of it all, an outstanding lyrical flow. Hip-hop, unlike many other genres, is a true open canvas for artists and performers. All you need is a great beat and a compelling melody, a drum machine pattern, a sample or a loop from some old vinyl…in the end it’s all about personality. 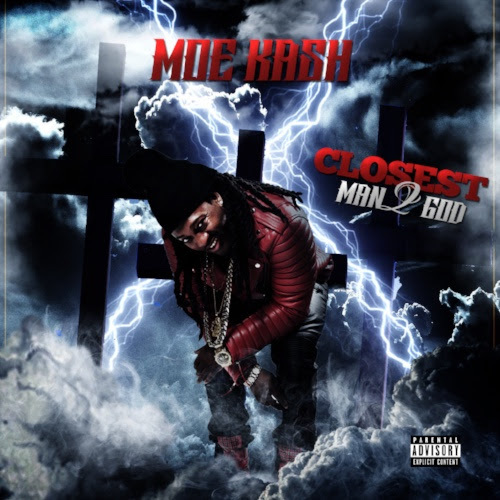 Moe Kash is one of those few artists that actually set out to stay true to what hip-hop is really all about: something more than just music; but a real, powerful statement of identity, individuality and characters. A way to tell a story, express a feeling and an idea through words and sounds. Infectious tracks such as “We da hottest in a million” “BalliN” are some great examples of this: Lush, retro synth sounds, 808 drum beats all the way, topped by a catchy, yet gritty lyrical flow. It’s all about that dirty sound groove. Check out the project above and give me some feedback. After streaming this project, head to the comments section below and let me know your thoughts. Unlike many other rappers out there, Moe isn’t always afraid to get out of his comfort region: Songs along with “It ain’t smooth to be me” exhibit a clean, specific technique, with a “summer time hit” pop vibe, a wonderful supplement to his rap skills and lyrical method. Wonderful supplement to his rap skills and lyrical method.Post your application online. And soon your essay is with you.